Ultimate Activity Camps accepts childcare vouchers as part or full payment towards your booking - a great way to save even more on your booking! We accept payment from all childcare voucher providers - see below for our current list. If your scheme is not listed please call 0330 111 7077 (local rate) and we will be able to add it. 1. Select your location, dates and activity as normal. 2. Let us know how much you would like to pay with childcare vouchers and your provider. 3. Continue with your booking. 4. After receiving your booking confirmation, contact your childcare voucher provider or login to their website and enter our account information (see the list below for specific details). Please put the booking reference number (begins with 'UAC') as a reference. If you are placing a booking within 28 days of the camp starting and you are waiting for your childcare vouchers, you will need to make the full payment for the booking on a credit or debit card first to secure your booking. 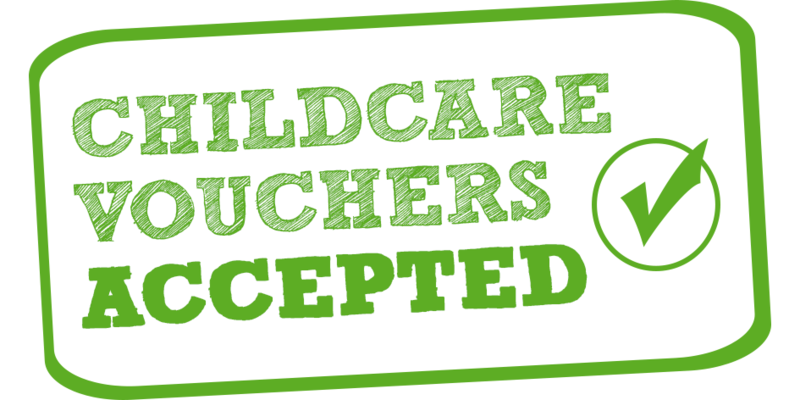 Once you have enough childcare vouchers and we have received your childcare voucher payment please call 0330 111 7077 (local rate) and we will be able to refund the amount paid back to your credit/debit card. Below is the list of schemes we are currently registered with and the details you need to find us on their system. Click on your childcare voucher provider name to go straight to their login page. Kiddivouchers - search for the postcode of the Camp location. Please ensure the account you choose states 'Ultimate Activity Camps'. My Family Care- Back up scheme, please contact My Family Care directly. Rascals Childcare Vouchers - search for "Ultimate Activity Camps - [Location name]"
RG Childcare - each location has its own search code; please click here for more information. Call RG Childcare on 020 7229 0349 if you have any problems. Please contact us if your provider is not listed above as we should be able to register with them.